Businesses are in the business of making money. Everything else they do is in service of that purpose. Nonprofits, on the other hand, are in the business of their stated mission. Everything else they do is in service of that mission. Businesses can—and, arguably, successful business do—provide quality and good in service of their purpose. Likewise, nonprofits should consider making money in service of their mission. Business and nonprofits are not mutually exclusive—they just come at very similar outcomes from different angles. Unfortunately, too many businesses consider nonprofits “do-gooders” and so don’t consider the value of adding a mission to their purpose. And nonprofits consider business somehow evil and so mistake making money as an evil purpose. All of which brings me to my fantasy world—businesses with missions beyond making their shareholders and senior executives rich and nonprofits who understand that mission without money isn’t a core value. In other words, I would love to see (more) nonprofits focus on the important business of business as well as their mission. These organizations make sure that they are not just operating in the black but that there is a reserve. 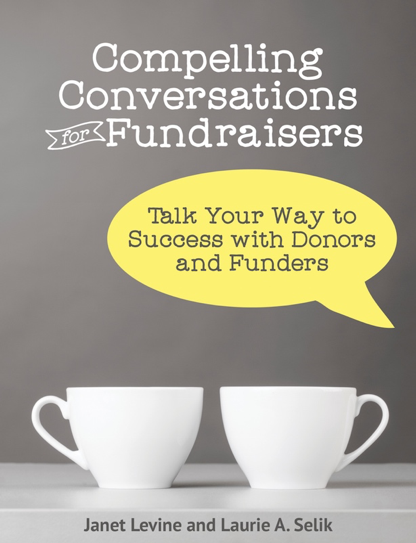 Fundraising—one of the important revenue streams for many nonprofits—doesn’t only happen every so often but is an integral part of the organization. Fees for service are reasonable and where they don’t cover expenses (usually) there is a plan (fundraising!) to cover the difference. In this world, every leader of the nonprofit—staff and volunteer alike—would understand how to read the financial statements and would not bury their collective heads in the sand when the news was not good. And in this fantasy world, all for-profit businesses would also care—passionately—about the well being of the people they serve. Their customers (and their workforce) would be as important as another zero on the CEO’s paystub or the ROI for their shareholders. Doing good would be as important as doing well and while profit would still be their ultimate goal, they wouldn’t lose sight of what is really important. Ah, to dream. Just don’t get started on politicians. This entry was posted in accountability, business practices, management, nonprofit management and tagged business practices, Goal-setting, goverance, mission. Bookmark the permalink.